Aquatic Construction, Wescon Construction, New Mexico, Texas, Colorado, Arizona, and Oklahoma. Welcome to Wescon Construction Inc.! 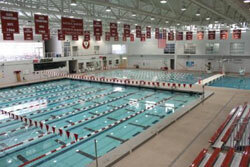 Wescon specializes in Commercial Aquatic Construction & Design. For over 35 years they have successfully built complete pool systems with specific features for competitive, training, fitness, therapeutic, and recreational venues. Wescon takes pride in building projects that create quality and value while providing enjoyment and safety to the community. Wescon’s many clients include Municipalities, Colleges and Universities, YMCAs, U.S. Military, Resort Hotels, Hospitals, Senior Communities, Native American Development, and Elder Care Facilities. Wescon has built aquatic facilities throughout the southwest including New Mexico, Texas, Colorado, Arizona and Oklahoma.